This air-conditioned room is tastefully furnished with attached bath and spacious lounge area. 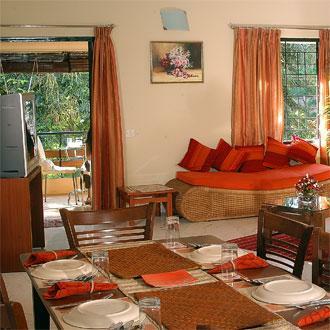 Its calm and stylish decor is enhanced with round the clock house-keeping service and complementary breakfast. The room amenities include a television, DVD player, Wi-Fi broadband connection and direct dialing facility with STD / ISD connection. Done up in bright colours, this room consists of a bedroom, a separate sitting area and an attached bathroom.